Derek Tidmarsh and I visited Jean in her flat in Weston Super Mare in November 2018. Jean is now 91 and ‘sharp as a tack’. Her Niece, Louise, had contacted the email account via the F&P website, to tell us about her aunt and was with us during the interview. 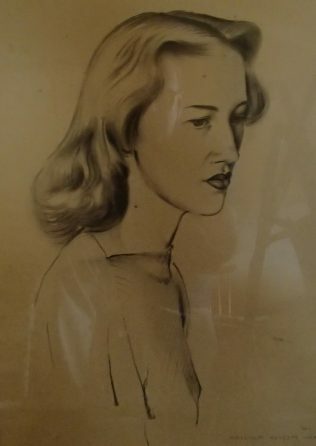 Jean did not want a current photo put on the website, so I have used a portrait of her created in her younger years. Louise had already talked to her Aunt about Fieldings and made copious notes about the people she knew. She also gave me some photos of Jean’s colleagues from her time at the company. I list the people separately below. Jean told us that she went to Denmark Road Girls School (hard work and lots of homework) followed by an Art Course at the City Art College. At the time her family lived at Bondend, Upton St Leonards. Because the country was still at war at the time, she was ‘called up’ to F&P as part of the war effort. Jean thoroughly enjoyed the work and the firm. 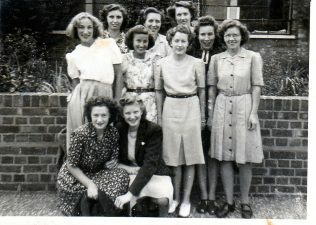 She was one of about eight to ten tracers in the drawing office at the time and there is a photograph attached of some of her colleagues. A few of her tracer friends and some draughtsmen are mentioned by Jean during her interview. In her interview, Jean tells us that she left Fieldings because she became pregnant, an understandable reason! This must have been approximately 1950. She had married a man called Steve Bunting who worked at Gloucester Wagon Works, the factory next door to Fieldings. They lived in Brunswick road before moving to Guernsey where Steve started an engineering works. 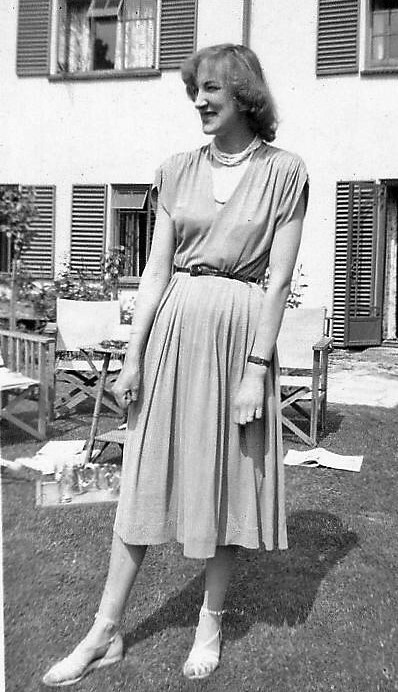 Jean worked for Christian Dior as their representative on Guernsey. She was in her forties by then. For another eight years they moved to the south of France, near Cannes. I asked Jean what she did there – ‘Not a lot’ she replied! The family moved back to Plymouth to enable her son to go to college. After many years, Jean moved to Weston Super Mare where she lives now. MEN JEAN REMEMBERS: Geoff Man, Fred Allen, Ramsey Harris, Jim Fielding, Trevor Phillips, Ron Greenaway, Jack Fielding (Jim’s uncle), Ken Daniel (rugby Gloucester ), Robert Madeley, Wilf Wrench, Stanley Retter, Bill Nash, Roy Barton, Jack Jones, Tommy Millington (Head Draughtsman, played for Gloucester). 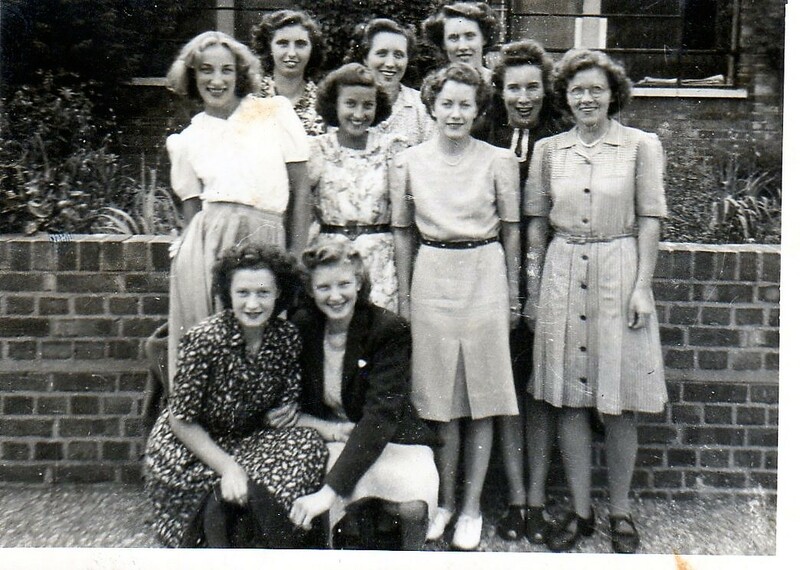 GIRLS JEAN REMEMBERS: Lilian Madeley, Joyce Wessel, Shirley Dee, Joy Stance, Jean Scattergood, Jean Carter, Marjorie Truman (print room), Mollie Parker (married Ramsey Harris).